Some exercisers need novelty to keep them engaged. They jump from class to class, trend to trend, program to program. Others find an activity or routine they enjoy and just keep hitting repeat. And while consistent exercise of any kind is a step in the right direction, constantly switching methods and activities doesn’t give your body a chance to adapt. Similarly, if you remove all the new challenges and guesswork, you’ll hit a plateau. Either way, you are guaranteeing you won’t be getting the results you’re looking for. To make progress on any fitness goal, you need to regularly and systematically increase the demands you place on your body. 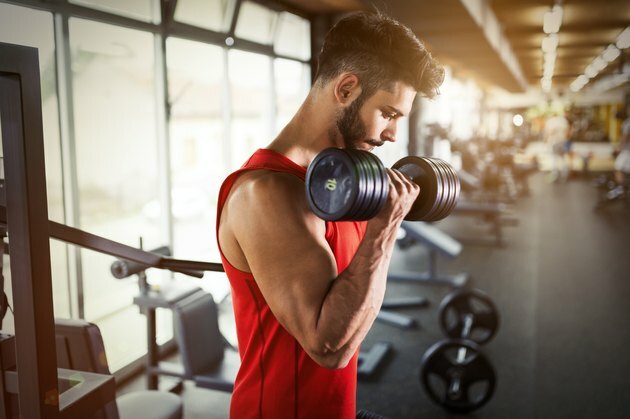 Known as progressive overload, this method of purposefully tweaking the variables of a workout — whether weight, intensity or volume — is a critical component of success that’s missing from so many training routines. No matter your goal, you can use progressive overload to make sure every workout is exactly what it needs to be to see consistent results. To build pure strength, adding weight to the bar or picking up a heavier set of dumbbells should be your first priority. But there comes a point where you can’t just keep adding more and more weight. “If that were possible to maintain forever, we would have guys benching 2,000 pounds,” says Bryan Krahn, CSCS. You have to be smart about how you progress your loads or your body will eventually break down. Krahn offers a strategic three-month progression that will steadily inch you closer and closer to testing your one-rep max (the most weight you’ll be able to lift one time). The first month you do five sets of seven reps the first week, five sets of five reps the second week and five sets of three reps the third week. For month two, go to six reps the first week, four reps the second week and two reps the third week. Month three is five, three and one. Each week of each month you’ll gradually increase the weights as you lower your reps, ending the third week of the third month by going for the maximal amount you can lift for five sets of one rep. When it comes to weight selection, you’ll know you’ve got it right if the last rep is challenging but doable with proper form. To make sure you get a little bit of a break throughout, Krahn advises his clients to treat the final week of each month as a deload. That means following your same workout but lowering the weight considerably and focusing on shoring up your form. “When you’re training for maximal strength, a lot of good, quality form can fall by the wayside,” he says. Even though the majority of any fat-loss plan is done in the kitchen — specifically by reducing your calories — there are some ways you can tweak your training to encourage fat loss. A good fat-loss formula to follow is to pair three or four 45-minute sessions of strength training with three 20- to 30-minute walks (or other form of low-intensity steady-state cardio) per week. One safe and simple way to progress your training (without sending hunger and cravings through the roof) is to slowly increase your cardio week by week. If you’ve reached a weight-loss plateau, start by adding five minutes to your cardio sessions every week. Or you can up your speed for the same amount of time. The key to fat-loss success is to focus on better adherence to your diet day after day, and take a light-handed approach to adding more to your training. 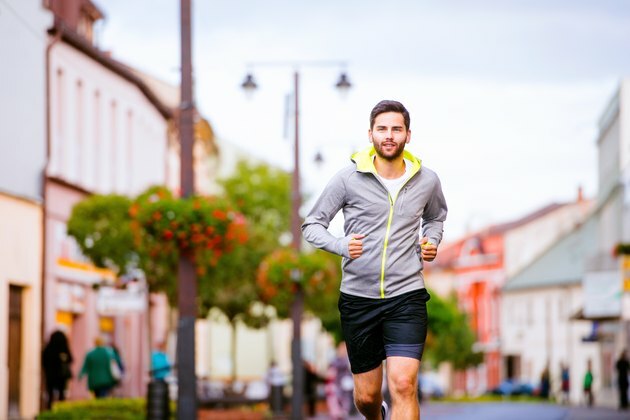 A common mistake Krahn sees people make is to think that if they increase their usual 20-minute walk to a full hour, they’ll triple their progress. “It just doesn’t work that way,” he says. If you’re looking to add muscle to your body, increasing volume should be your top priority. One easy way to do this is to add an extra set to your main lifts every two to three weeks (think back squats, shoulder presses, hip thrusts, etc.). Or if you’re dead set on pumping up your biceps, you could add in an accessory lift like preacher curls to your arm workout. Next, start experimenting with heavier loads. The ideal rep range for building muscle is six to 12, but narrow your ranges within that wider range — think six to eight, eight to 10 and 10 to 12 — so you can better gauge when to increase weight. For example, if you stick with a range of six to eight reps for a particular exercise, you’ll know to go heavier when you complete eight reps for all your sets and feel like you could have done more. Finally, progress by decreasing your rest in between sets to bump up the intensity (for example, drop from two minutes of rest to 90 seconds). Kourtney Thomas, CSCS, incorporates changes into her clients’ programs over a two- to three-week period to give them a chance to adapt before tweaking again. This way, if the changes aren’t going well, she can quickly pivot before the client burns out. Note: If your goal is to “tone up,” you’ll want to follow the advice above. Toning essentially refers to adding muscle tone, which means you need to build muscle. According to Thomas, it could also mean losing a bit of fat to reveal the muscle tone you already have, in which case you’ll want to follow the weight-loss advice of the section above. Progress by replacing one of your weekly LISS runs with a threshold workout (also known as a tempo run). Thomas recommends starting with an easy warmup followed by five minutes at a “comfortably hard” pace. Run one minute easy, then another five at your threshold. Alternate between threshold and easy pace for a total of four sets. You can add onto these threshold workouts over time, but keep in mind that 20 to 40 minutes will be enough for most people. Down the line, you can start experimenting with interval workouts (shorter bouts at a faster pace). 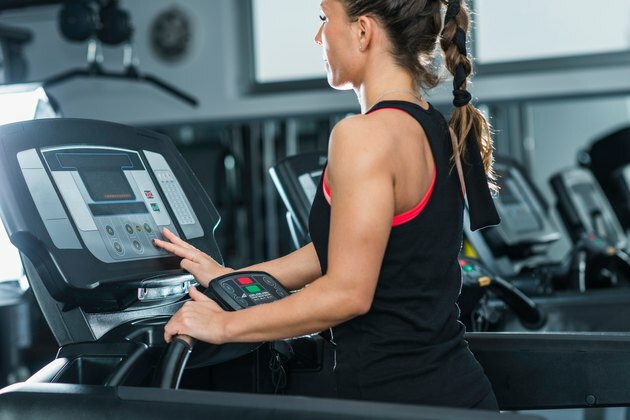 But if you stick with three to four runs per week — with the majority of your work coming from LISS — you’re guaranteed to improve your cardiovascular endurance. What’s your current workout routine? What goal are you working toward? Do you want to lose weight, gain strength or run faster? Have you heard of progressive overload before? How do you think you’ll incorporate it into your training? Share your thoughts and questions in the comments below!